We are planning to carry out a StopGap pilot project in the Astoria area of Queens. 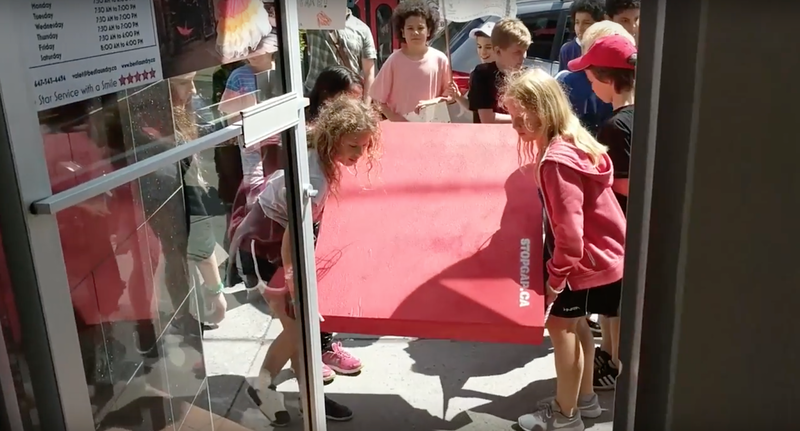 We would like to replicate and spread the work of StopGap, a Canadian organization improving accessibility via the creation and distribution of portable ramps. This proposal is a pilot project focused on the Astoria area of Queens, where Christine and Rica currently live. 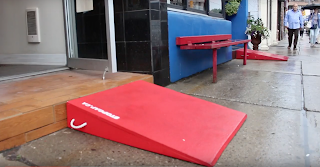 We plan to engage local establishments to commit to being a part of our StopGap pilot, create a reasonable number of custom-made ramps for those establishments within a limited budget and time frame, and donate the ramps to them for use. The ramps improve access and inclusion so that all members of society can access public and private spaces. Participating in our project would be largely beneficial to establishment owners as well; they do not need to pay a high cost to install a permanent ramp, nor get a permit for the approval to have it available on the premises in order to increase their clientele or customer base. We will collaborate with woodworking students from a local high school, and other maternal groups to bring the project to fruition. Using the pilot to create detailed records regarding the cost, time, roadblocks and best practices, we will utilize this information to expand the project to other areas in NYC. Christine's Story: I have a young child, and therefore an incredibly hard time entering establishments with steps or raised entrances while pushing a stroller. The same difficulties are experienced by thousands of other caregivers in the Astoria area, along with those who use walkers, canes, wheelchairs, and scooters. In November of 2017, through my UP-STAND advocacy work improving accessibility on behalf of families, I came across StopGap. 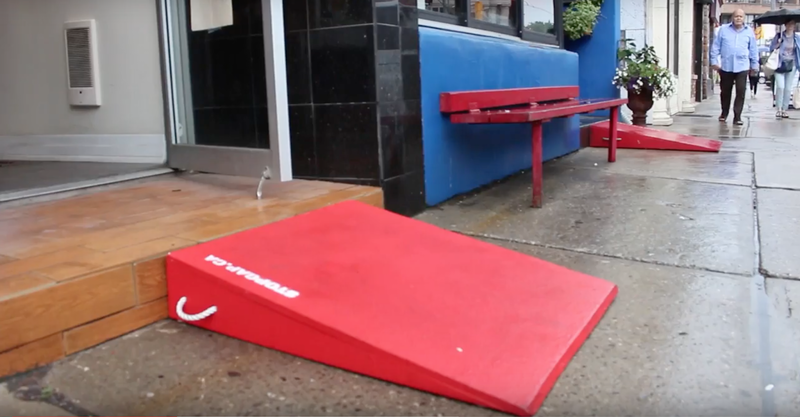 StopGap creates custom-made, portable ramps as a solution to improve accessibility in older cities and towns that were built before ADA standards were developed or universal design was introduced. 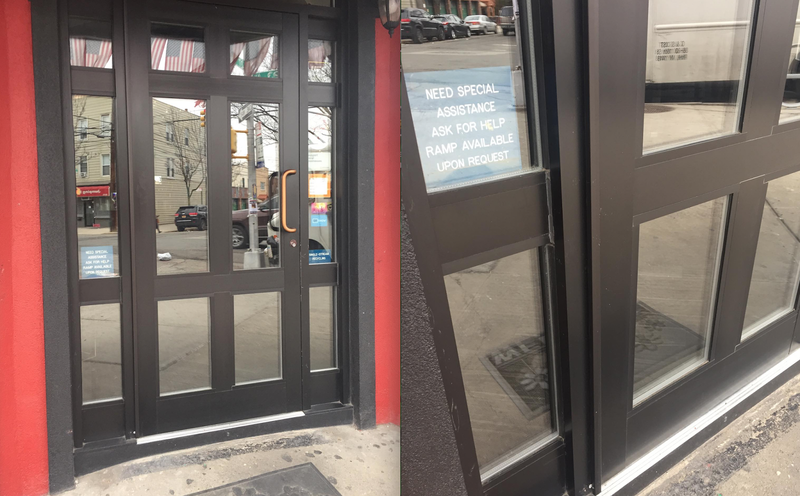 Old cities and towns like New York commonly have unmanageable entrance gaps and steps, preventing access for a large segment of the population – those of us who are disabled, elderly, pregnant, and parenting community members. With this project, I aim to improve access for us all to create a more vibrant, inclusive community. Rica's Story: Since 2014, my friend, a wheelchair user, has often visited NYC from Japan. I wanted to invite her to my favorite restaurants and cafes while she was here. However, when there was a small gap or even a 1/2" step up at a door, it rendered the establishment inaccessible to my friend. I was shocked because the gap was very small for me to step over and I had never thought about how such a small thing would make it impossible for her to enter and enjoy the delicious food at any of these locations. We looked for restaurants throughout the city, but many establishments were inaccessible. 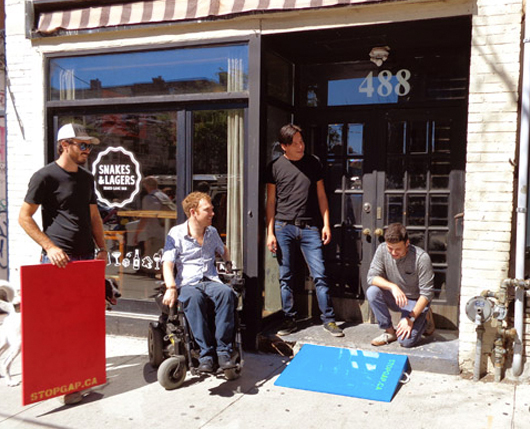 I realize that NYC has many old beautiful buildings since it has a long history, and it is not easy to be an inclusive city for everyone; when I learned about the StopGap project, I was glad to find a way to make our city more inclusive. I hope that, one by one, it will be possible for us to do this and the day will come that I can bring my friend to my favorite cafes.